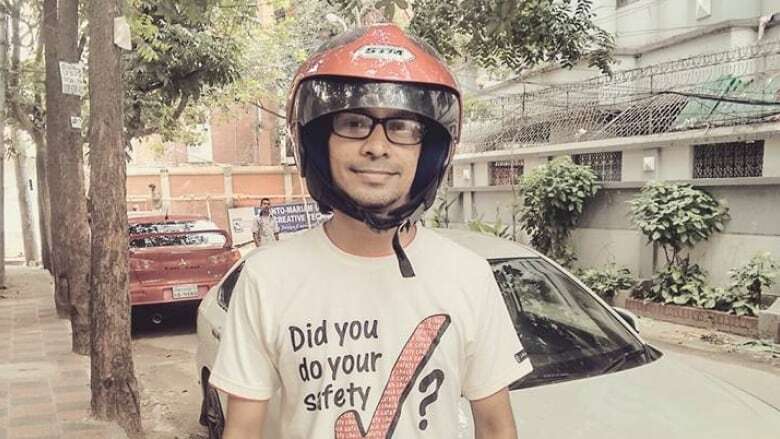 Blogger Ananya Azad has taken to wearing a helmet and is considering leaving Bangladesh after receiving threats for his views against religious fundamentalism. Azad was recently threatened online, shortly after the brutal killing last month of another prominent blogger in Bangladesh. 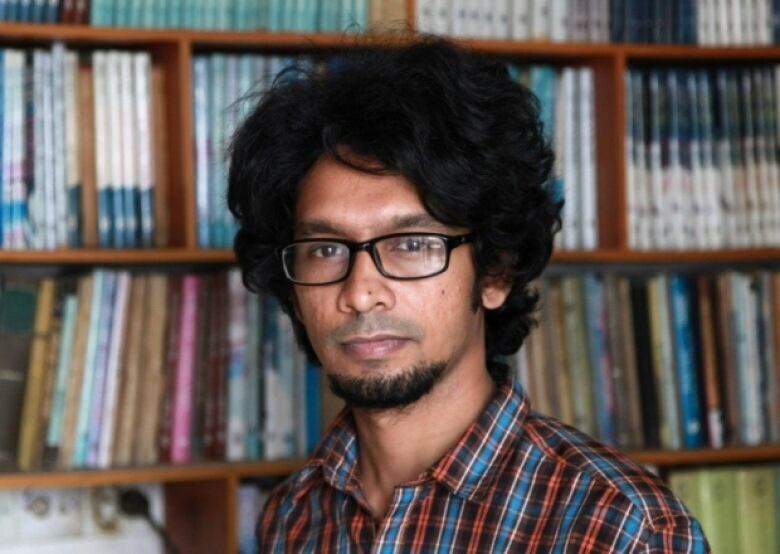 On May 12th, science writer Ananta Bijoy Das became the third Bangladeshi blogger to be killed this year in the streets of the capital, Dhaka. Azad tells As It Happens host Carol Off "those who threatened me said they want to kill me, they want to cut off my head...they also addressed my father, the atheist writer, saying that's why they want to kill me." Azad's father, Humayun Azad, was killed more ten years ago. Azad says "those who threatened me said they want to kill me because they thought I am also atheist...so they don't want to know what is my belief, or what I will write...they just express their thoughts like 'I want to kill you because of your father'". Regarding his helmet, he says: "I use a helmet for protection because our government, and our police, do not protect writers and bloggers. The Bangladesh authorities keep their mouths shut. And even though three bloggers have been killed since February, they behave like nothing has happened. Maybe they are scared of those fundamentalists, but by doing nothing the authorities prove that they also believe that all bloggers are atheists, and need to die." Azad said that years ago, before his father died, he told him that "maybe I will be the next target to be killed by Islamic fundamentalists. Then he hugged me and told me to be careful. This is the last talk with my father. After that he died and his prediction is coming true now".